Mead Elementary School Principal Annette Lopez is being praised on social media for stepping up when the cafeteria staff needed help. Leadership is sometimes about doing whatever it takes to make things go smoothly. 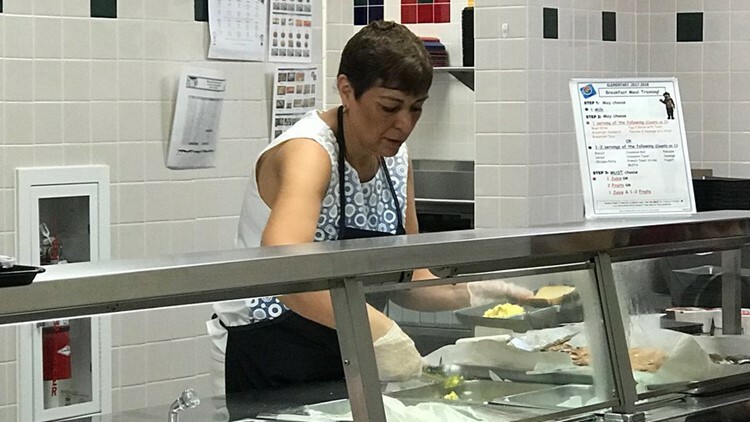 In a tweet posted Thursday afternoon, Mead Elementary School Principal Annette Lopez was photographed serving breakfast to students when there weren't enough cafeteria workers present that day. The community around the Northside ISD elementary school helped the story go viral, with more than 300 likes and 35 retweets within about 24 hours.